Horror of horrors, an unexpected visitor and I had a bare cupboard. Never knowingly under catered is my leitmotif. So how embarrassed was I when one of my friend’s sons popped in unannounced and found the cookie jar bare? I was mortified! He’s a bit of a cookie monster and when I visit his parents usually take him a batch of these cookies. When I make a batch of cookies, I typically pop a few raw ones in the freezer specifically to cover unexpected visitors. That way, within 20 minutes, the place smells of warm cookies and I have something delightful for my guest(s). If not cookies, I’ll have a few slices of cake in the freezer I can rapidly defrost or some fudgy brownies which are delicious straight from the freezer. I tend to batch bake. That’s because it’s just as easy to make ten cakes as it is to make one. My repertoire tends to be biased towards my customer base, elite and professional athletes, many of whom eschew cakes made from refined products. Through much testing, I’ve developed a range of cakes which meet with the approval of their dieticians and team chefs who aren’t above sneaking a piece for themselves. 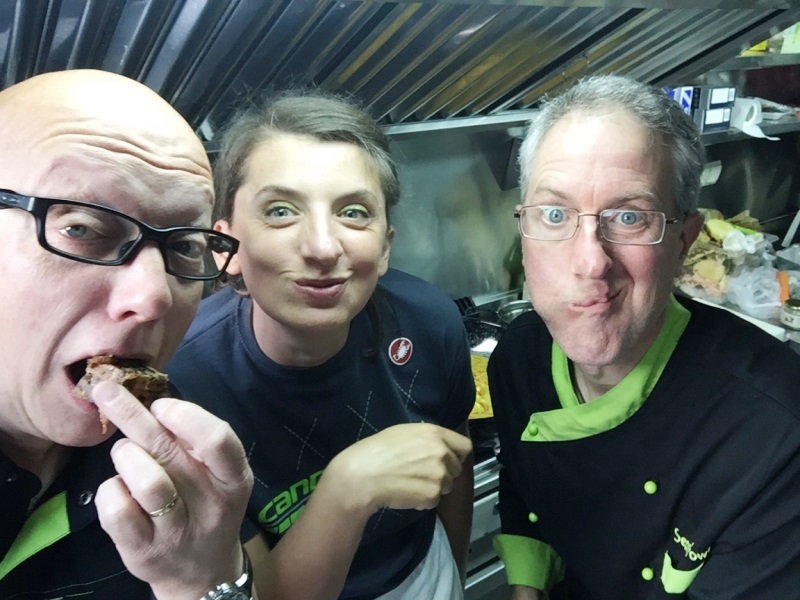 Cannondale’s chef and crew enjoying my fruit cake! Many of our friends much prefer healthy home-baked goodies and I try to comply. Of course, I now can’t eat products containing refined sugar, white flour and diary which has pushed me to experiment though many vegan cake recipes often include products such as vegan butter which for me is also verboten. However, and happily, there are plenty of alternatives so my baking continues apace, just not so much recently. This is partly as a result with the ongoing issues with my fridge-freezer which are now resolved but, as a result, the default cookie jar is empty. Also, it’s been far too warm this summer to spend hours baking in the kitchen and now I have to lay down some stocks. Because of my love of baking, I hardly ever buy biscuits or cakes. So not only was the freezer bare but the cupboard was too. My poor visitor was doubly disappointed. Now, I know what you’re thinking. It was Halloween so surely I had laid in stocks for the trick or treaters? I don’t do Halloween nor is it really celebrated in France where kids are neither encouraged nor allowed to eat loads of sweets or snacks, except maybe a bit of top quality dark chocolate. I usually have some dark chocolate in the cupboard for my baking but my beloved has eaten it all. See, the cupboard’s truly were bare. Nor do I celebrate Guy Fawkes night. 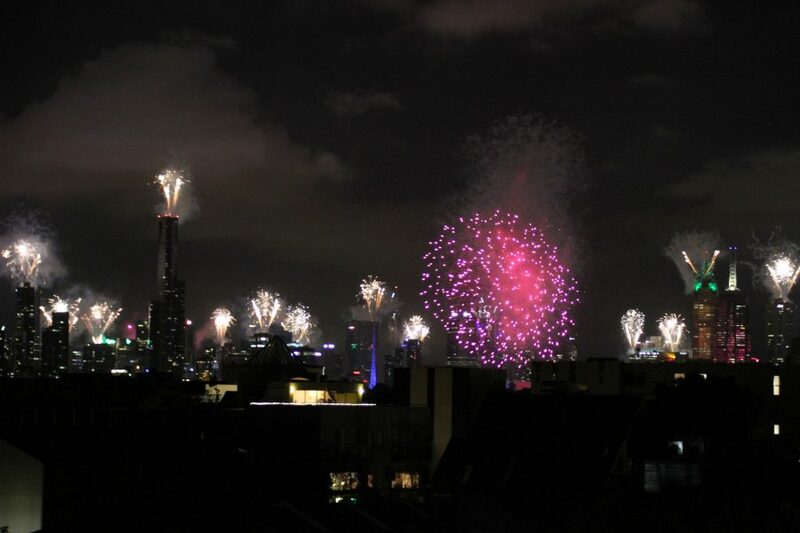 I’ve never been over fond of fireworks and I’m now more than happy to watch displays from a distance on my balcony during the various festivities and national holidays in France. I know I’m giving the impression that I’m a bit of a kill joy but nothing could be further from the truth, though I do accept that my popularity may have slipped a notch on account of the empty cookie jar. I’m attempting to rectify matters and have already started on my Xmas cakes. I like to soak the organic dried fruit in honey and rum for three weeks prior to baking the cakes which I find then remain really moist. I make Xmas cakes for family and friends most years but this year they’re assuming greater significance as I’ll be using them, specifically their decoration, as a dry run for a wedding cake I’ll be making next year. This is a bit of a departure for me and I’ve been watching loads of videos on YouTube which explain the various techniques for decorating with sugar paste. The marbled effect I’m attempting does mean that the cakes won’t look particularly festive but, on the plus side, they’ll have marzipan and icing on the top and all four sides – I generally only decorate the tops. I’m going to use different colourways, within the bridal couple’s defined palette, on each cake so that they can select which one they prefer. It’s been an interesting project thus far and I had no idea that wedding cakes were so expensive! Needless to say it’ll be our wedding present to them. Thanks Ben, and yes I have great friends. You keep frozen cookie dough in the freezer just in case?! I keep lots of stuff in the freezer just in case! That way I can produce a meal for a bunch of hungry cyclists at the drop of a hat. It makes such a difference to the final product and so much better than soaking the cake after it has baked. though, of course, one can do that too!